Few days back, we showed you amazing body painting in form of Human Motorcycles. 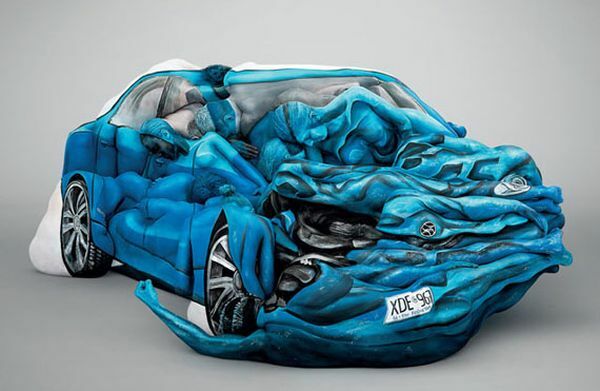 Today also we are bringing to you is a body painted artwork, however this time it is a car instead of motorcycles and to be definite it is a crashed car. Named “Body Crash”, this beautiful and mind blowing body painted art sculpture of a crashed car is the work of Australian artist and photographer Emma Hack. 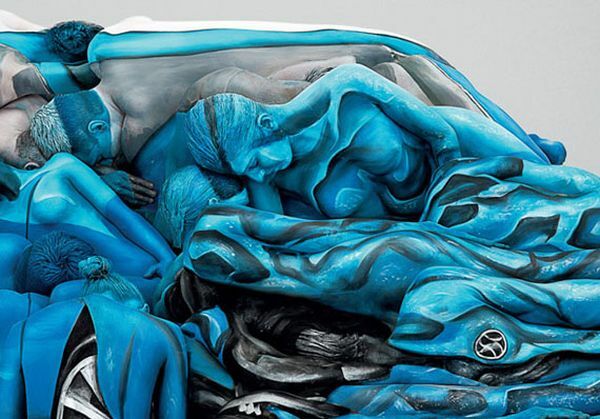 This artistic creation is made using 17 people, a group of bodybuilders, athletes and acrobats whose bodies were painted, contorted into the shape of a smashed car and then photographed by the artist in a long 18 hour process. Body Crash, the body painted art sculpture is sponsored by the Motor Accident Commission as a part of an Australian road safety campaign.